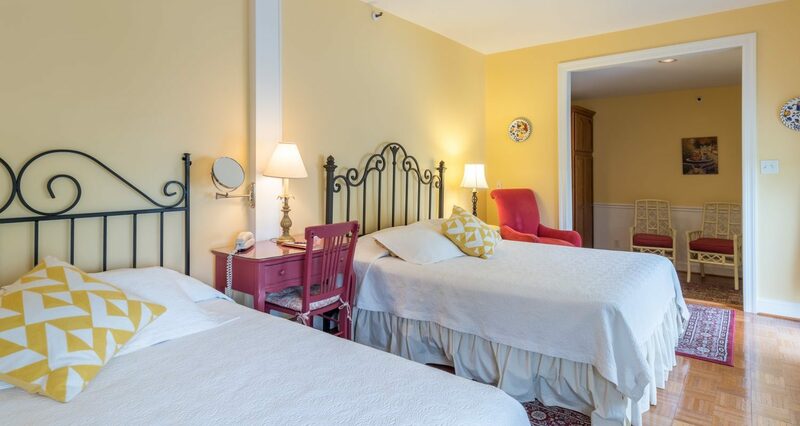 Room 23 is spacious and bright room on the second floor with a balcony overlooking our secret garden to the west of the Inn. 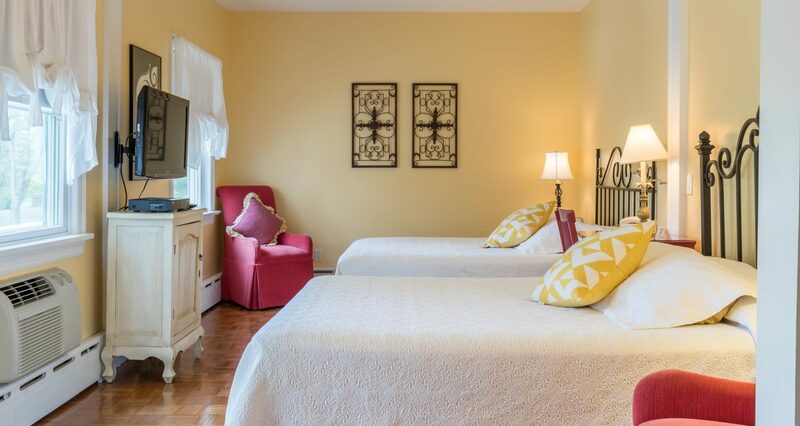 It features two queen-size beds, a sitting area and a full bathroom with shower and tub. 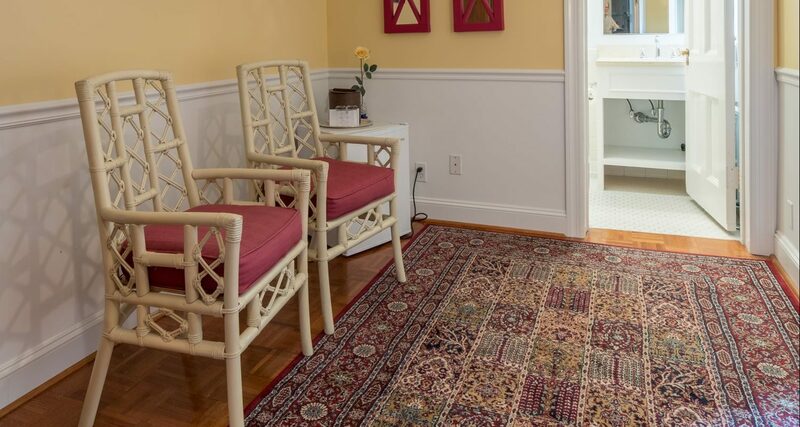 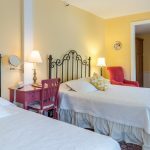 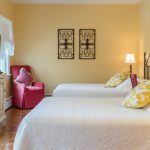 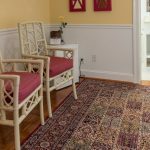 With its two beds and room to stretch-out, this is one of the best rooms for families visiting downtown Greenwich in our Greenwich bed and breakfast.